I would like to cordially invite all Pitman Creek North residents to come out to the Pitman Creek North Homeowners Association Annual General Meeting which will be held on May 6th, beginning at 7:00 p.m., at Highland Oaks Church of Christ (next to Hackberry Park). 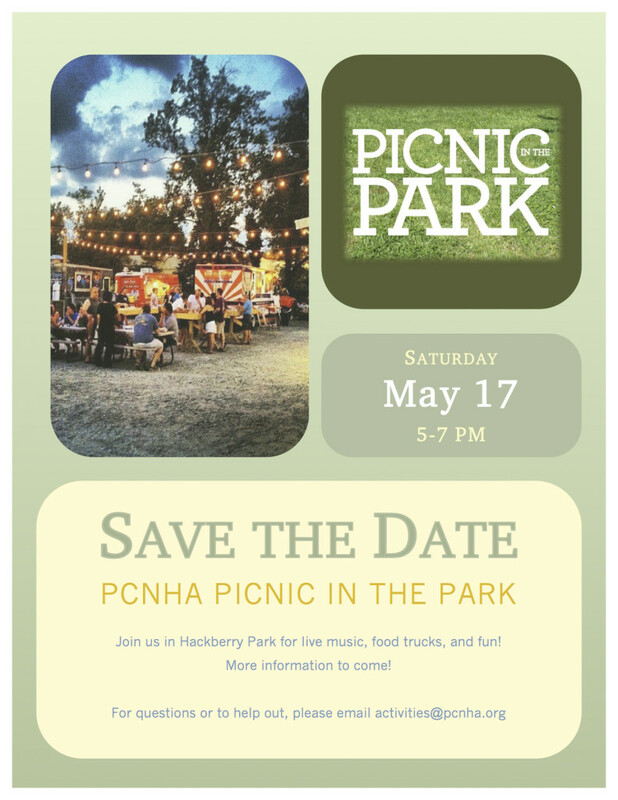 Read more"Invitation to PCNHA Annual General Meeting – May 6, 2014"
Join the festivities at the “Picnic In The Park 2014” at Hackberry Park on May 17, 2014 from 5:00-7:00 pm. There will be live music, food trucks and activities for one and all. Look forward to seeing everyone there!! Read more"Picnic In The Park 2014"
Landscape watering with sprinklers is permitted once every other week, if needed. Watering from 10 a.m. to 6 p.m. is allowed. Read more"Winter Stage 3 Watering Restrictions In Effect"
Great Time at National Night Out 2013! Read more"Great Time at National Night Out 2013!"